Trees have much to offer, but many homeowners are hesitant to plant new ones. The idea of adding something permanent, something that may live for centuries, is understandably intimidating. Follow these tips on selection, care and timing, and your yard will be better for it. Once you're ready to add trees to your landscape, the first step is to choose which varieties will be the best fit. This will determine the best time to plant them. Keep in mind that varieties grow at a wide range of paces. Some evergreens gain 1-3 feet a year, while an oak tree can grow for two to three decades before it�s full and tall enough to offer shade. But once they reach maturity, they bring grandeur worth waiting for, not to mention value and curb appeal. Some mature trees can increase property value by as much as $10,000. Keep this in mind when considering the upfront cost. Container trees that are a few years old are often the biggest expense in a landscaping budget. Trees are an investment, so naturally you need to plant them when chances of survival are highest. As a rule of thumb, this means putting them in the ground when temperatures are mild. They need at least a few weeks to develop strong roots before exposure to extreme conditions. High and low temperatures, as well as drastic increases or decreases in moisture are major stressors that could impact the health of a tree, especially during its first year. Ideally, the best time to add trees to your landscape is late summer to early fall, weeks before the first freeze. This time window gives the roots a few weeks to acclimatize to the soil, sun exposure and other conditions. In many regions, roots remain active in winter as long as they�re strong. By spring, many will blossom with flowers and beautiful, bright green leaves. If you live in a cold climate, the window for planting is much shorter. Early spring, just after the ground has thawed, is prime time. If the ground freezes before roots are fully established, the roots will be damaged and incapable of absorbing necessary moisture. In the warm southern region of the U.S., autumn gardening tips include tree planting. Most roots stay active in winter, but they go dormant so their needs are less. During this time, energy goes toward the growth of the roots instead of the canopy. Evergreens are a popular choice because they offer year-round beauty. They�re also hardy and serve as habitats for birds and other wildlife. Plant them a few weeks before or after times of extremely high temperatures - in late spring or early fall. Fruit trees grow best when planted in early spring once the ground thaws. 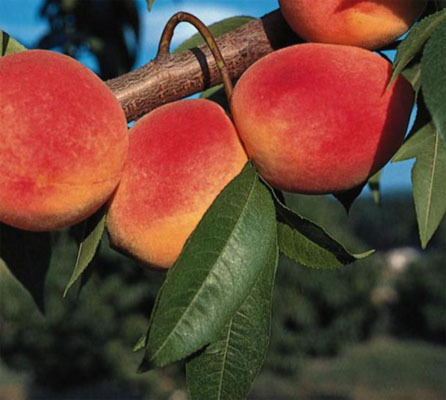 Easy and delicious varieties to grow include peach, apple, prune, pear and cherry. Some even flower in the spring, adding beauty and anticipation as temperatures climb and the sweet smell of fresh fruit fills the air. Deciduous types go dormant in the fall as their leaves change color and drop. New ones should go in the ground in early fall and be well-watered throughout winter. Transplants are best suited for early spring before buds appear, or in the fall once leaves are gone. Note that mature trees don�t often survive a transplant due to the shock, while younger ones have a high chance of recovery. When you add trees to your landscape, it's important to choose ones that are right for the practical conditions of the yard. They should also complement your vision. In addition to providing a shaded spot to relax under on a sunny day and acting as a living fence, they bring character, beauty and a sense of permanence.